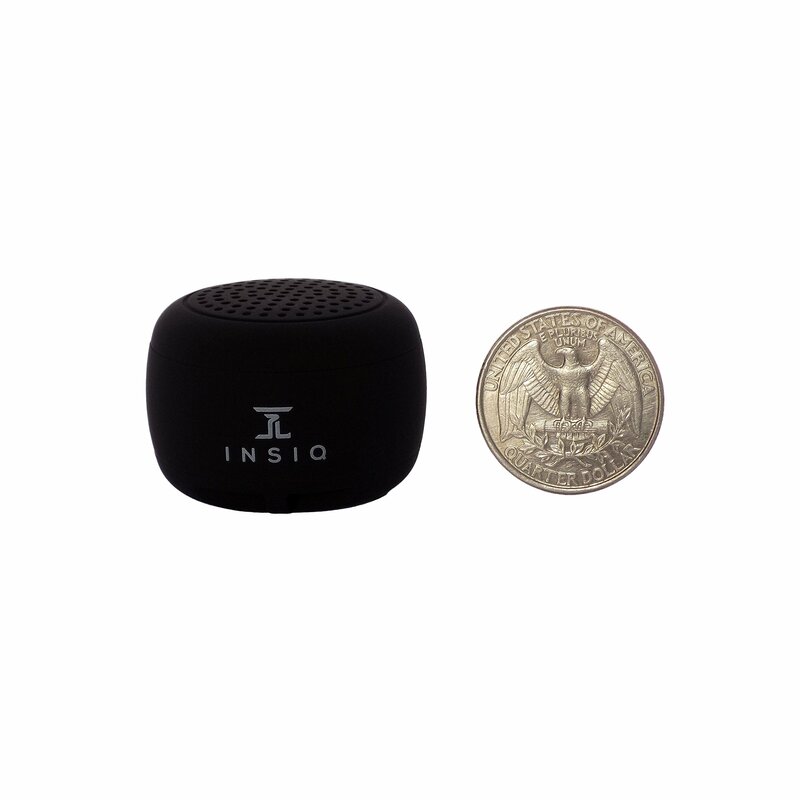 COMPACT AND CONVENIENT: With a diameter of about 1.2 inches (slightly wider than a quarter) and a net weight of about 2.1 oz, this may be the smallest wireless speaker you'll ever set your eyes on. 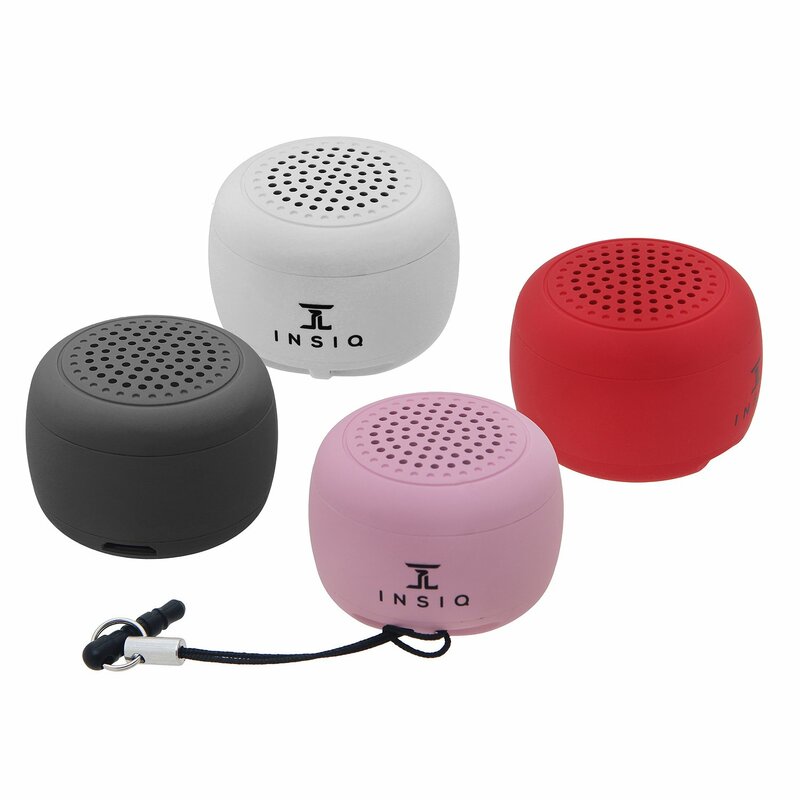 This mini bluetooth speaker can easily fit inside your pocket and even comes with a phone strap which makes it easy to carry around. POWERFUL: For such a small portable speaker, you'll be surprised at the loudness, with a volume of over >90DB. The device has the latest Bluetooth V4.1 which produces crisp sound quality at a range of over 30 feet. As with other bluetooth devices, just make sure there are no big objects causing interference. The battery lasts about 2 hours on a full charge and comes with a short power cable for convenient charging. UNIQUE FEATURES: Taking a photo with your phone can be cumbersome with just one hand. 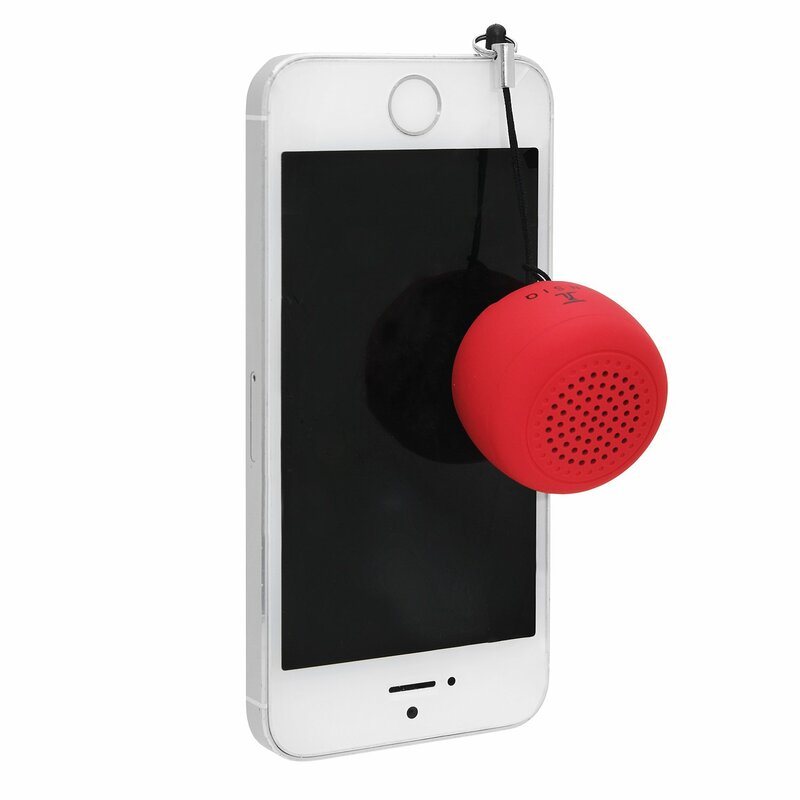 This compact speaker allows you to capture special moments with your phone camera, including selfies, with the speaker button using your free hand. 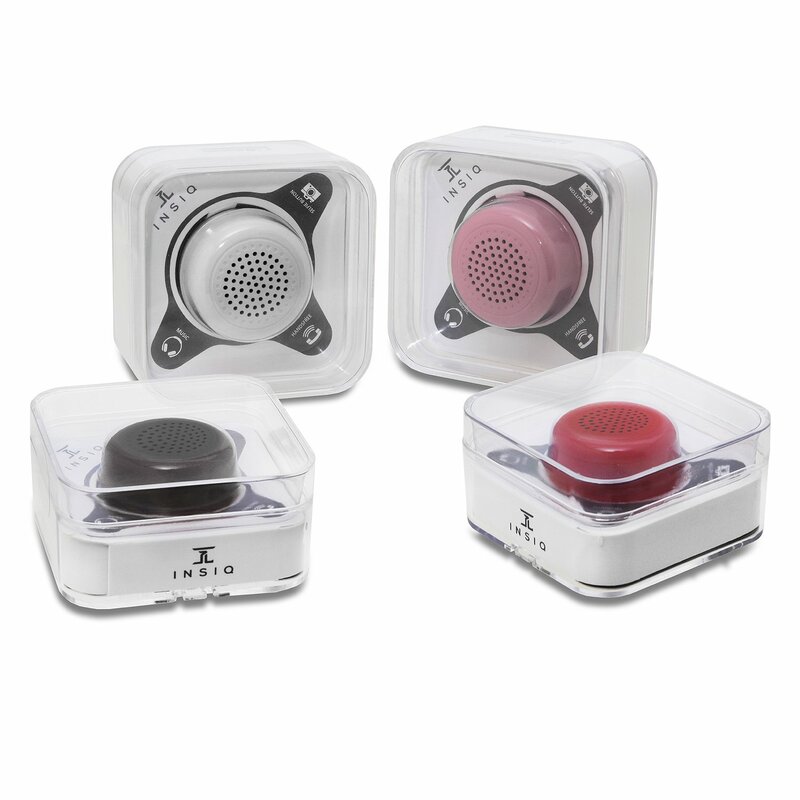 You can also phone calls with the click of a button.